6.10 acres conveniently located between US Hwy. 74 and Skyland Drive in East Sylva. Site is flat and ready for development with access to water, sewer, rail, and natural gas. This parcel provides easy access to US Hwy. 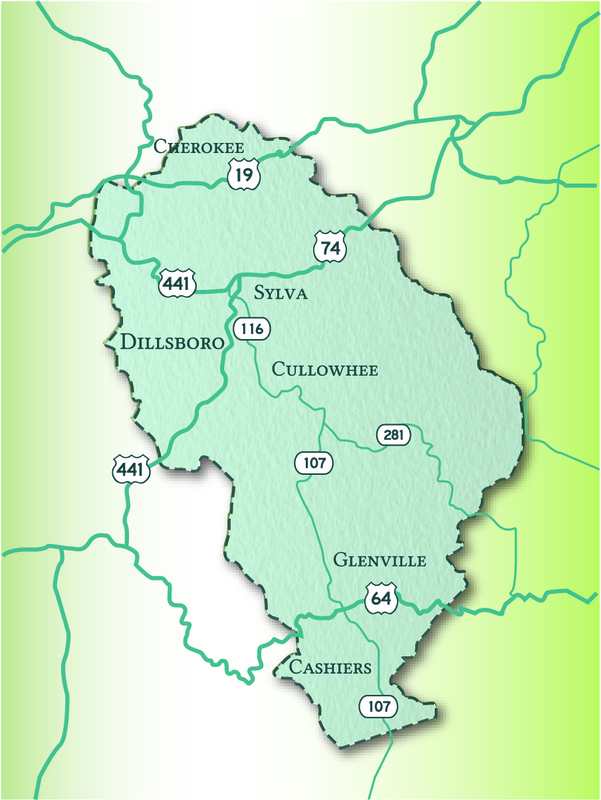 74, with several ingress or egress routes into Sylva and surrounding areas. Call the Jackson County Office of Economic Development for more information. 6.83 acres centrally located between Sylva and Dillsboro, this site is partially graded with access to water, sewer, and broadband fiber. The location of this parcel provides quick access to Hwy. 107 either North or South bound, is only minutes from US. Highways 441 and 74. Call the Jackson County Office of Economic Development for more information. 1.93 acres at the intersection of Wilkes Crescent Drive and Hwy. 107 in Sylva. This site is owned by Jackson County, and has access to water and sewer. The parcel is an excellent retail location. Call the Jackson County Office of Economic Development for more information.